Home > OPEC > What's the Next Move for OPEC? What's the Next Move for OPEC? Just one day after the IEA warned the world could drown in oil if production does not fall beneath demand sometime soon, OPEC released a new market whammy, offering up the cartel's production figures, which largely jive with figures reported by the IEA yesterday: OPEC has increased its oil production. OPEC's Monthly Oil Market Report revealed daily oil production for the cartel of 33.64 million barrels for October—up by 240,000 bpd on September—largely confirming the IEA's report, although the international authority's figure was a bit higher at 33.83 million bpd. OPEC's calculations had the increase over September, on the other hand, a bit higher than the figures published by the IEA. The OPEC report uses daily output amounts as reported by secondary sources rather than by the members themselves, since the latter are often higher than the former. This output calculation methodology was a bone of contention for Iraq in September when negotiations about an output cap began. Regardless of which production figures are used, secondary or direct, it's now clear that the global supply glut will not ease during this time of increased production. On a somewhat brighter note, according to the group, non-OPEC supply this year would be some 780,000 barrels lower than it was in 2015. However, this is expected to rise in 2017 by 230,000 bpd—a figure a bit below the October over September production increase by OPEC members. In contrast, the IEA predicted a 500,000-barrel increase in oil production outside the cartel for 2017. OPEC's estimates put non-OPEC production next year at an average daily of 56.43 million barrels. 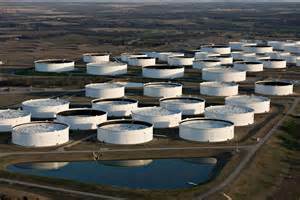 This, added to OPEC's October rate of production, would give the world almost 91 million barrels of oil per day. But the interesting breakdown presented by OPEC in this latest report is that demand for OPEC crude in 2017 would stand at 32.7 million barrels per day. With their current production at 33.64 million barrels per day, that's a net inventory gain of 940,000 barrels of crude per day, based on OPEC supply vs. OPEC demand (or 1.1 million barrels per day if you use IEA figures released yesterday. Even if a freeze does take shape sometime in 2017 using the minimum amount discussed at the Algiers meeting, which was 32.5 million bpd, we're talking about a 200,000 barrel per day decrease in inventory in the world of OPEC. Between Algiers and now—and likely between now and next year, OPEC is adding to the supply side of that equation daily, which would push out further and further any takeaways from inventory. Hypothetically—it's possible that these production figures could result in some easing of inventories in 2017 on a global level, since OPEC expects global oil demand next year to hit 95.55 million barrels of crude per day. If its estimate is correct, the global glut could possibly begin to ease at some point during the year. That said, it remains unclear just how much crude is currently being kept in storage, and how long it will take to get rid of however much that is. The easing of the global glut-thought by some to be even a shortage at some point in 2017— is more than likely to remain just a hypothetical, given some non-OPEC producers' intentions, stated directly or in a veiled manner, to continue expanding production, and OPEC's very own Saudi Arabia's threat that it would raise production to 11-12 million barrels if all its co-members do not agree to take part in the freeze—notably Iran. "The Saudis have threatened to raise their production to 11 million barrels per day and even 12 million bpd, bringing oil prices down, and to withdraw from the meeting," according to an OPEC source, as quoted by Reuters. The comment was denied by OPEC senior officials. If Iran digs in and refuses to cut, and Saudi Arabia digs in and refuses to take on most of the cutting itself, thereby giving up market share, OPEC will continue to add to the glut, further straining heavily oil-dependent economies.